Discover a new atmosphere in your offices. This project, launched by the Luxembourg company Labgroup, intends to improve the aesthetics of the office environment by integrating art into “day-to-day business”. Labgroup, expert in the preservation of documents and data for forty years, offers a wide range of dedicated services, covering the entire document lifecycle, whether electronic or paper. Among other services, Labgroup offers an assured destruction service constituting the perfect response for companies seeking to ensure both security and data privacy compliance of discarded documents. 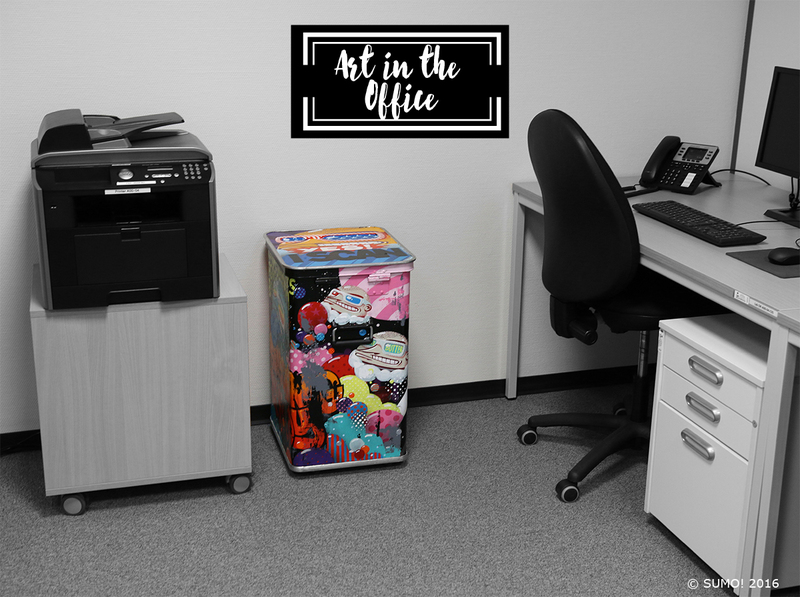 For the first edition of the Art-in-the-Office project, Labgroup, has collaborated with the Luxembourgish artist SUMO! for the creation of “design containers”. To do this, the artist created a work of art covering a Labgroup container. An exhibition allowed visitors to discover SUMO’s artworks as well as the famous custom container, auctioned during this evening. Art-in-the-Office unites the opposing worlds of aesthetics and functionality. The objective of the first edition consisted of improving Labgroup containers’ appearance, thereby providing containers which are both secured and visually attractive. Labgroup’s sealed containers are supplied to the client’s premises in order to ensure the full confidentiality of discarded documents. 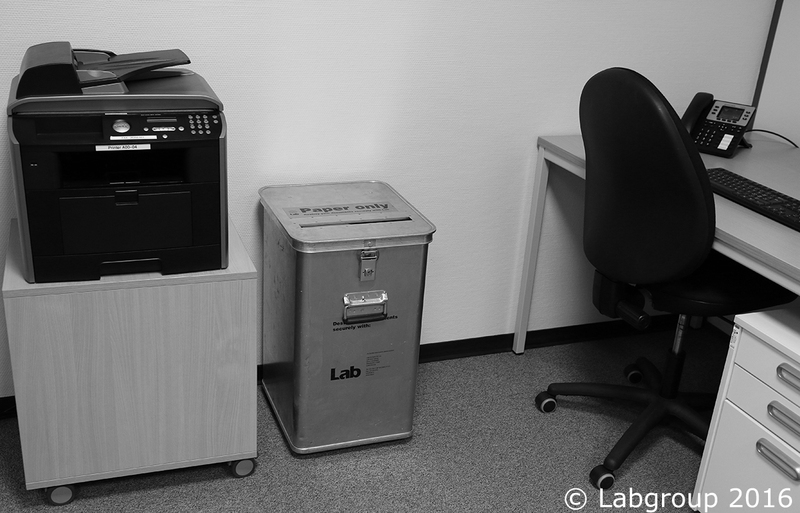 These document containers are regularly emptied and replaced by Labgroup, and their content is securely destroyed. The Luxembourgish artist Sumo has decided to continue the challenge this year by creating a new work of art on a Labgroup container! As a nonprofit initiative, all proceeds will be granted to projects supporting the art sector in the Grand Duchy of Luxembourg. 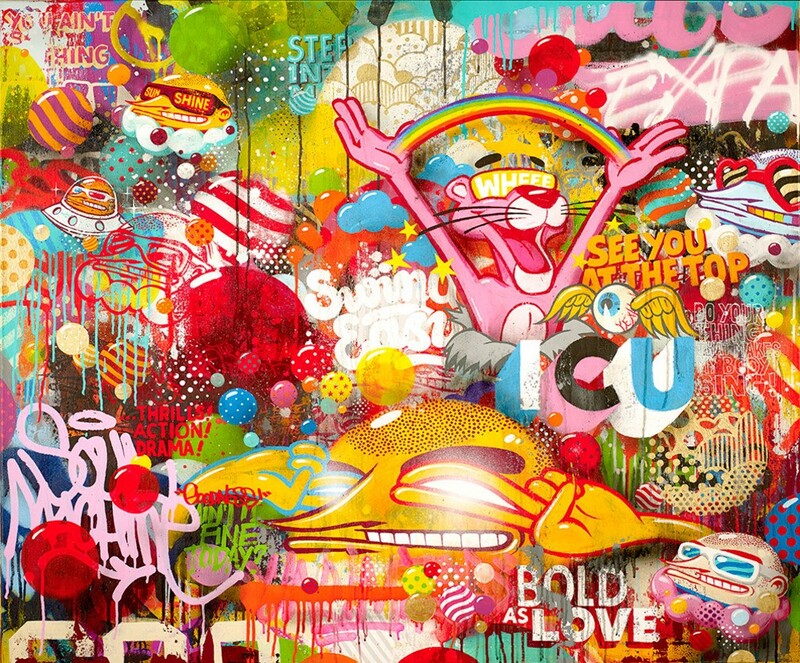 More than pictures, Sumo’s artwork is characterized by a mixture of heterogeneous elements – either imagined or picked up by the artist – which collectively constitute abstract universes suggesting an undeniable ‘horror vacui’. 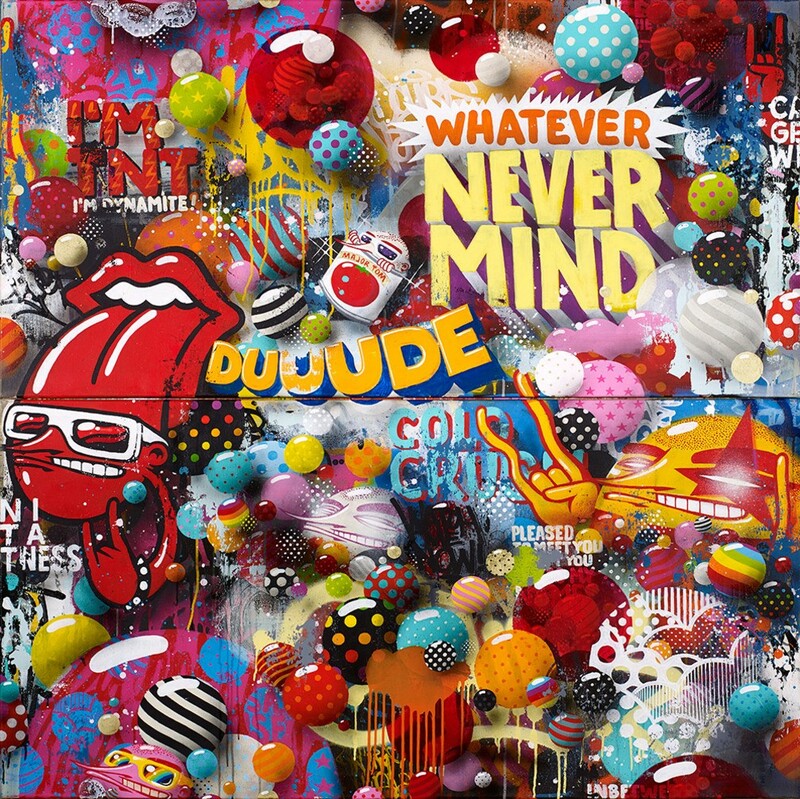 He performs both street and canvas painting, and uses the visual graffiti language to create abstract paintings referring to the themes of space and time. His artwork is known worldwide. The drawing is fine, even meticulous, and the compositions are rich of details overwhelming our eyes and instilling our admiration. 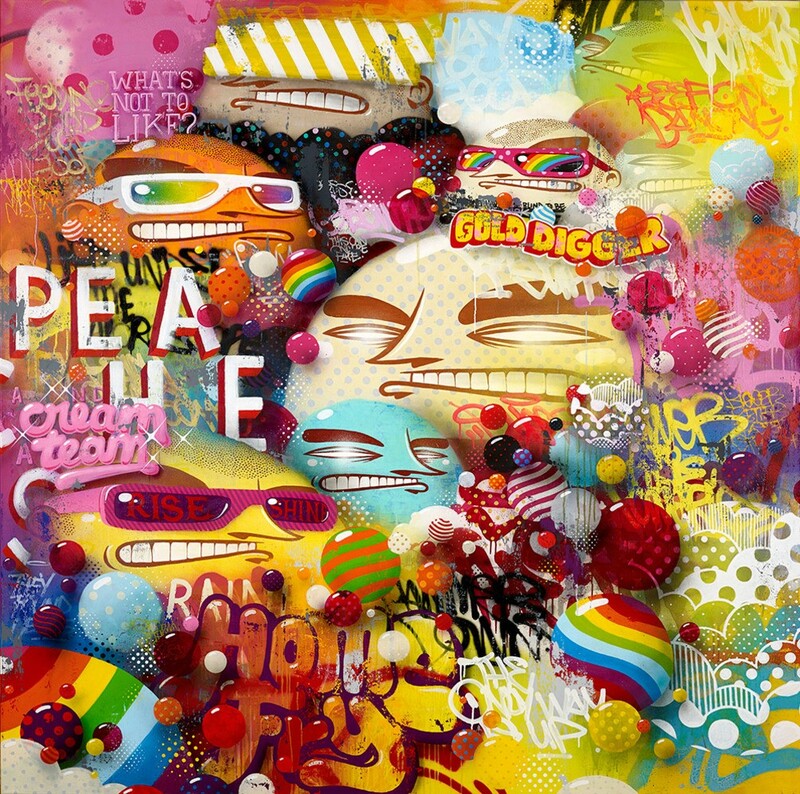 The artist’s talent and inspiration go back to his childhood, when numerous objects of all kinds, including sweets packages, skateboards, cartoons,… were endless sources of artistic development. The artist’s diversity and the singularity of his work find their origins in these early memories of creative inventiveness. This project unites two conflicting concepts: destruction and creation. 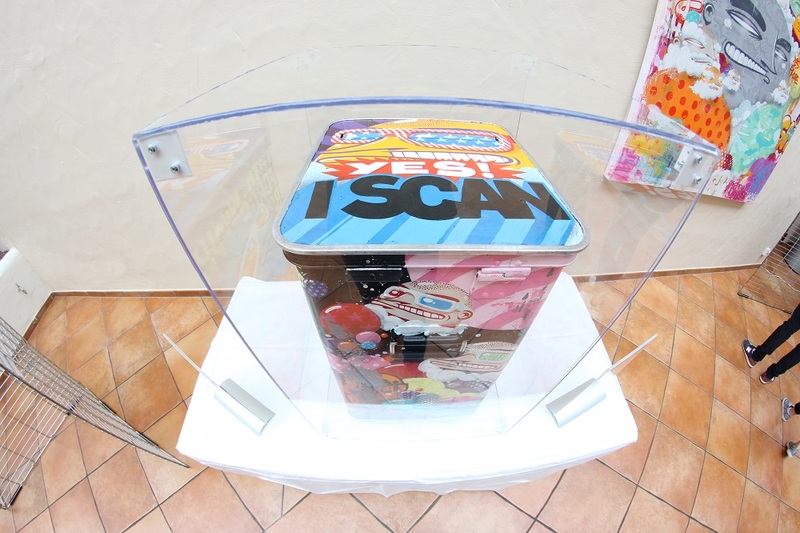 The creative element consists in the conception of an original artwork displayed on a container, which is ultimately destined to collect material for the purpose of destroying it. This paradox constitutes one of the fascinating aspects of the artwork. In addition, my works are typically composed of several layers, whereby each successive layer destroys the previous one. Labgroup containers designed by Sumo. 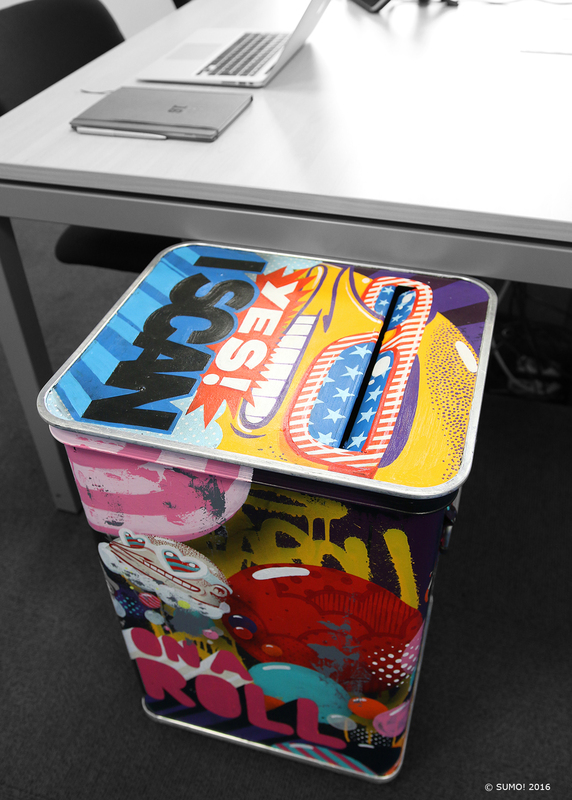 The new edition of the Art-in-the-Office contest, in collaboration with SUMO, aims at allowing amateurs or professional artists to let their imagination go free and create a work of art on such an ordinary object like a bin. Daily changes and challenges giving us the opportunity to create something new, innovative, different and unique. 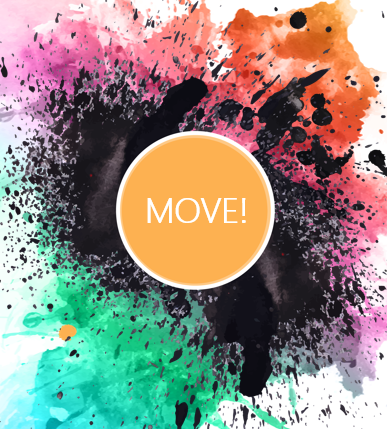 The jury will be composed of the artist SUMO and experts and art lovers, whose names will be announced two weeks before the end of the contest. I participate in the contest! 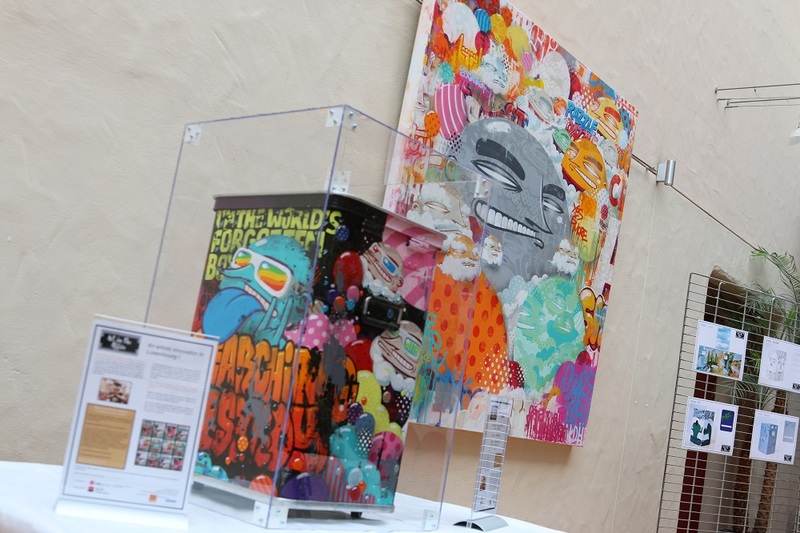 Art-in-the-Office in collaboration with SUMO has hosted an exhibition in Contern. During the opening ceremony, the participants had the opportunity to discover the projects developed by the Lycée des Arts et Métiers students in a friendly and festive atmosphere. 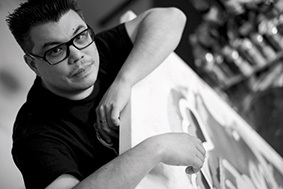 During the event, the Arizona Lounge in Contern has hosted the work of the Luxembourg artist SUMO. SUMO’s original artwork has been put up for auction. 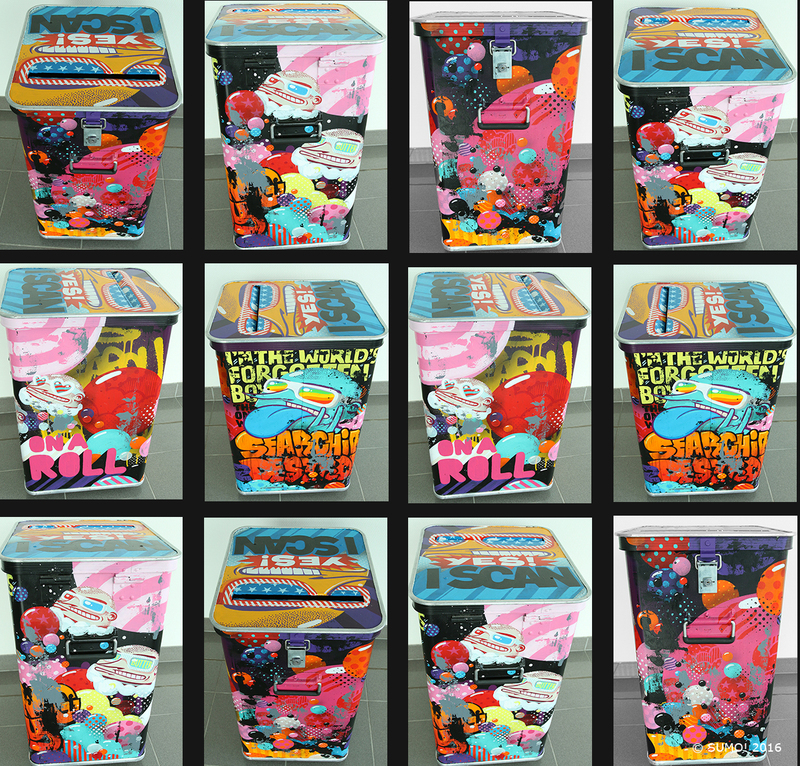 Fifty models reproducing the artwork originally designed by the artist on a Labgroup container are on offer. The original container will be the only copy featuring SUMO’s signature. On the occasion of this event, the jury of the contest “Art-in-the-Office” selected the winner of the project. See the pictures of the events. Any further questions about the Art-in-the-Office project? Our team will be delighted to provide additional information. 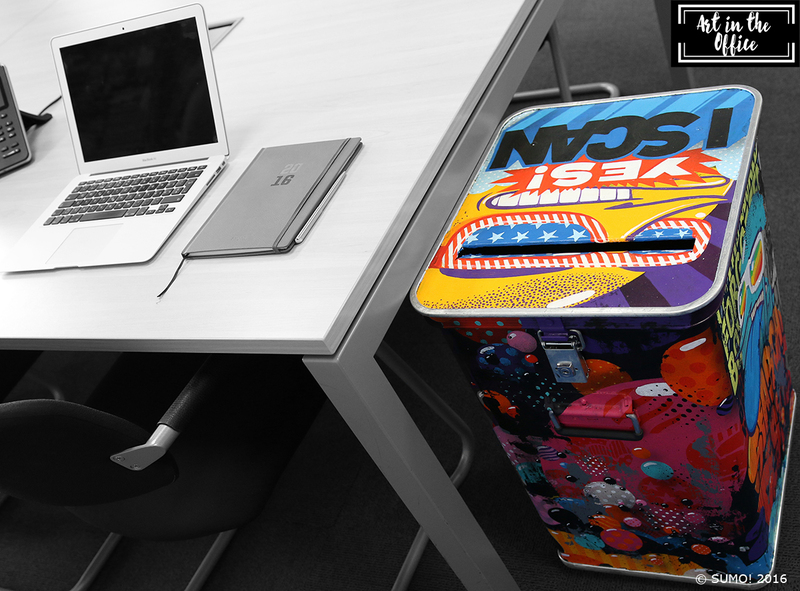 Follow us on LinkedIn or discover the latest news about Art-in-the-Office!